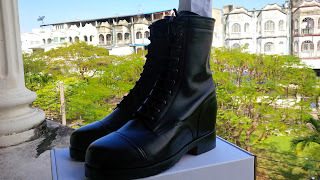 Men who want to look their best in wedding photos, but are worried that their shorter stature could let them down, will love the new range of tuxedo elevator shoes from Don’s Shoes, sold through TallShoes4Men.com. Don’s height increasing shoes have always been a watchword for quality workmanship, elegance and style for the shorter gentleman. Now the new line in tuxedo elevator shoes extends these values to more formal occasions, from a family wedding to a red-carpet event. There are essentially two kinds of tuxedo elevator shoes available from Don’s – the Sassari and Vercelli models. Both of these height increasing and body shape improving wedding shoes will help you walk tall on those important days when you can’t afford to leave anything to chance. Both the Sassari and Vercelli are currently available for the sale price of around $250. These wedding shoes are original, quality-made Don’s, carefully fashioned from the finest leather, and that means no drops of glue, no loose threads and no plastic. TallShoes4Men’s Allan Donnelly said: “Our tuxedo elevator shoes have a real leather sole, and a full-grain leather upper. We use soft calfskin leather to line our wedding shoes, and even the heel is made from leather. The heel is nailed rather than stapled on to our height increasing shoes, and we use only the highest quality rubber in the small block which goes on every heel. Both the Sassari and Vercelli are available to buy in American sizes 7 to 13 (UK sizes 5.5 to 11.5) and these wedding shoes can boost height by either 2.75 or 3.1 inches. The Sassari is an ultra-formal piece of footwear for when a man really is on show and has to look his best. These shiny black tuxedo elevator shoes are as at home on the red carpet as they are gliding across a dance floor. 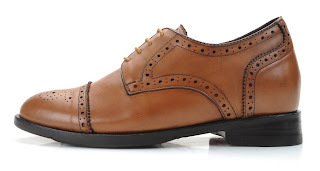 The Vercelli wedding shoes are again quite formal Don’s height increasing shoes, and available in mahogany, tan and dark brown as well as black. Men love the classic design of these models, on which the three-piece stitching pattern is an ingenious foil to the more conservative stitching. For media interviews and questions, contact Allan Donnelly at Marketing@tallshoes4men.com, or by calling (01646) 233 4255.